I booked my first appointment following a google search for something in my area that would assist with my insomnia. After emailing Sian and having a very positive and welcoming response to my queries, I booked a session of reflexology and Reiki, which she recommend as a good way forward. I was nervous about attending my first session as I wasn’t sure what it would entail. I needn’t have worried. 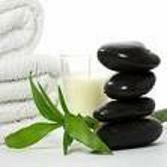 I was made to feel at ease straight away and I felt relaxed in the comfortable room with relaxing music. Whilst I initially intended to go just for insomnia, I soon realised during the initial consultation, that a number of other physical and emotional issues could be addressed through the sessions. These included my IBS, as well as anxieties. After a number of sessions I was amazed and thankful at the improvements that were being made in all aspects of my health and emotions. The therapies were exactly what I needed after failing to find a long-term solution from my doctor. I regularly go for continued sessions to keep myself relaxed and I have also undertaken some thought field therapy sessions which helped to deal with some prolonged anxieties. I am so grateful to Sian for help with making me feel so different. I would recommend her to everyone – her approach is so genuine and considerate and since our initial meeting I have always felt that this is more than ‘just a job’ to her.